While there are many things said to be crucial for any startup founder to know or have (such as funds, a favourite), according to SITEC Startup Manager Ann Lee, it actually boils down to just three key things. According to Lee, being able to grit your teeth and knuckle down to keep fighting is one of the attitudinal and personality factors that separate mediocre startup founders from high performing ones. The ability to maintain that throughout the journey of establishing the startup is always a challenge, but the truly great will be able to persist through it. Naysayers will try to say that the idea cannot work, or that it is already being done by someone else, or that it had already been tried in the past with bad results. “When these people come to you, you have to be able to keep your eyes on the objective and continue firmly on what you need to do. Otherwise, you will constantly be changing your ideas or giving up, proving the naysayers right,” said Lee. Another common issue with entrepreneurs and startup founders is that they want their product or offering to be perfect, with every feature conceivable. As a result, too much time is then spent building the product, without knowing for certain whether or not the target audience would be receptive of that end-product. This is where the minimum viable product (MVP) comes into play. Exactly as it sounds, a MVP is a version of the product with the bare requirements to be launched in the market, allowing for honest feedback from end-users who have actually used the product. “There are many voices who say that surveys should be done first, but it remains that those answering the surveys can very well be biased. However, by setting up a MVP and having people use it, proper feedback can be recorded, and the product adjusted accordingly. Only then can the proper or appropriate features be added in,” shared Lee. A common cry among startup founders is that “money is needed to start”, with the sentiment shown through many startups wanting to establish funds first, either in the form of grants or seed capital. However, Lee notes a different approach. “If your product is good, and is something people would pay to use, money will come on its own,” noted Lee. “However, managing the money well so that it goes to where it can do the most good remains something that should be learned. At the very least, some of the C-level people in the startup, such as the CEO, should visibly demonstrate adequate skill in financial management, and not obtain funds blindly without a direction or plan of how to use the funds,” added Lee. Lee also shared that soft skills, while not required at the setup phase of the startup, are a definite bonus. Covering items such as Public Relations and pitching, soft skills here are something that can (and should!) be developed over time, according to Lee. Another skill, though tied more closely to those looking to set up a tech startup, is the ability to understand basic coding. “If the product leans towards the tech side, then basic coding knowledge is a definite boon. 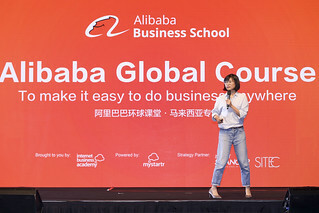 It doesn’t even have to be much, but just enough to find the right co-founder or talent, which in itself is very important,” said Lee, adding that basic coding knowledge can also help non-tech startups when they wish to venture online. If you are someone who has little to no knowledge about the startup scene, all of this can seem rather daunting. However, SITEC offers a number of options for aspiring entrepreneurs. One such example is StartupQuest Selangor (a.k.a SQSel). 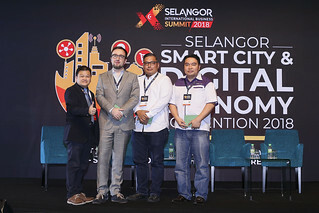 StartupQuest Selangor (SQSel) is a project funded by the Selangor State Government, where for the small sum of RM80, participants will receive a two-day pre-event workshop for coding and business planning (worth RM600! 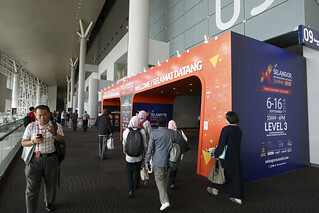 ), while also having the opportunity to test out their ideas during the event itself. Serving as a training ground for aspiring entrepreneurs, SQSel is a platform that allows for idea validation, as well as realisation. Other than that, seasoned entrepreneurs and startup novices alike can also participate in the MVP Development Bootcamp, a workshop held in collaboration with LEAD, and is very suitable for those aiming to launch a digital product, yet remain unsure about how to go about designing it. Serving as a focal point to point entrepreneurs in the right direction, while experienced mentors offer their aid and advice, the MVP Development Bootcamp will help participants to build a MVP around their target audience, as well as provide pointers about how to identify and analyse their target market and customer feedback. Stay tuned to our website and our Facebook for more information on the MVP Development Bootcamp (slated for late September/early October)! For inquiries, please contact startup@sitec.com.my.